How to: Initiate Wake on LAN (WOL) from Buffalo wireless Router ( Professional Firmware) - Details of an answer | Buffalo Inc.
To reduce energy consumption, a computer is put in hibernate, suspend or sleep mode when it is not in use. 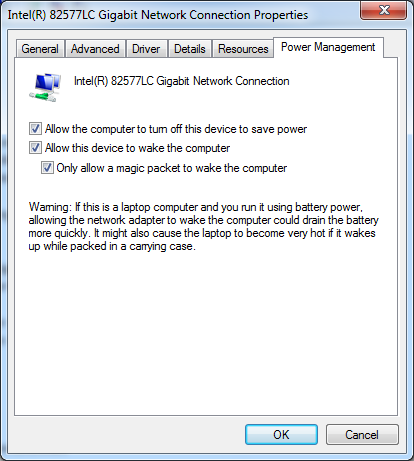 Wake On LAN (WOL) provides a mechanism to fully turn on the computer through the network interface. The WOL wake up call is accomplished by sending a special UDP "Magic Packet" to the specific target computers on the network. 1- login remotely by browser or telnet (over VPN ) or by secure shall (ssh) client to the router . This command can also be executed from within the management WEB UI . Navigate to Administration -> Commands Tab and enter the command in the box and click run commands button. MAC_address MAC_address is MAC address of the PC's network adapter interface MAC address that is connected to the router. Be sure to give the full path "/usr/sbin/wol" and replace "AA:BB:CC:DD:EE:FF" with actual MAC address of the target PC witch is to receive the WOL wake up packet. For WOL to work, The client network adapter will have to support WOL . 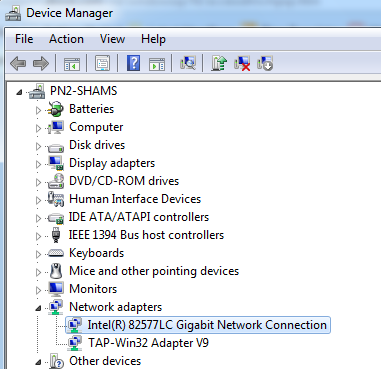 Next, click "Network Adapters" and right click the adapter that is connected to the router to see the context menu. On windows, from Taskbar/Start menu Run "cmd" to start shall command box and type the following command "ipconfig /all" . 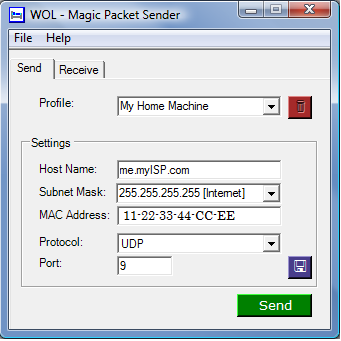 USE "WOL Magic Packet Sender" (http://magicpacket.free.fr/) to generate packets from a remote PC. 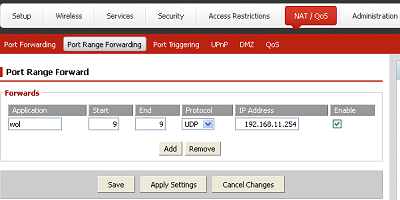 Alternatively, configure the router to send Wake On LAN via Port Forwarding. 192.168.11.254 can be any address in the LAN address space that is not used. It will be reserved for this purpose. Replace "192.168.11.254" with your actual network IP address. ( replace 192.168.11.254 with your actual network IP broadcast address ) and leave FF:FF:FF:FF:FF:FF as is . 5-click Save Start up Button. 6- next type "reboot" in command box and click Run Command to reboot router. public IP address of Router or dynamicDNS name. MAC Address: WOL computer MAC address, not the DD-WRT MAC. Click the green Send button.